"It's honestly a breath of fresh air to come across a website based on a commitment to inclusive dialogue and social action for the benefit of all members of many diverse communities in and around the Capital Region. I look forward to our continued collaboration." "The services offered by Leo Campos Aldunez & the Community Networks Group are unique and effective, and have become a primary part of my small business network over the past 5 years. Leo is very easy to work with, prompt, personable, thorough, and most importantly for my small business, Leo gets results. My investment in Leo's services is always returned multi-fold. I recommend him to others without hesitation." "Leo Campos is an intellectually stimulating personality who loves to engage in literary & political conversations as well as in taking action on issues of the day. Leo has used his passion and concern for political and social problems of our time to inform the public on community engagement activities which he promotes through his social e-marketing network. He has run this service very responsibly for a number of years. 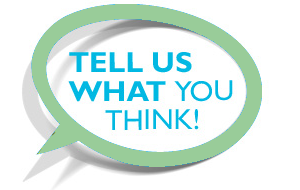 I have used it on many occasions to publicize my professional/volunteer activities and I have never had cause to be disappointed." 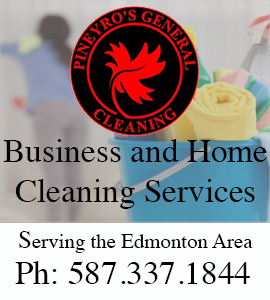 BUSINESS and HOME CLEANING SERVICE | Pineyro's General Cleaning is a family business owned and operated by Rodrigo and Jazmin – a lovely couple originally from Argentina & Mexico. 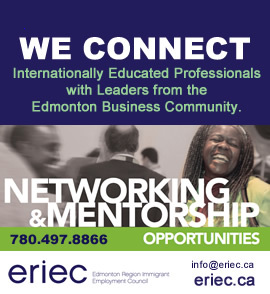 Indeed; professionally serving Edmonton and Area. Get in touch by calling 587.337.1844 or visit the website. 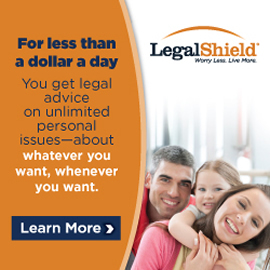 LEGALSHIELD | Smart, simple legal coverage starts here! Protect your family, your business, and your personal identity with a simple, comprehensive coverage from LegalShield and IDShield. 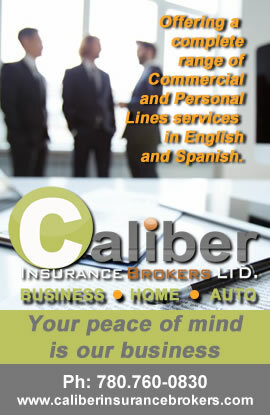 Effective, affordable, trusted. 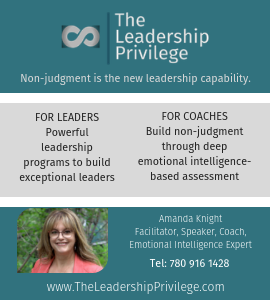 Get in touch with Cheryl Watts for a free and informative consultation – call 780.708.1460 (or) visit the website. 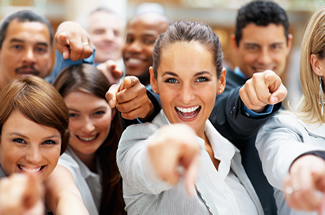 MELNYK CONSULTANCY | Building the capacity of organizations, teams and individuals. New training courses coming up! 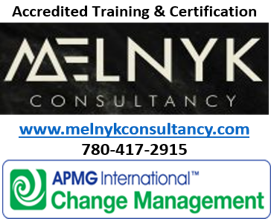 Pauline Melnyk is a Change Management Practitioner/Human Resources Professional focussing on organizational effectiveness, business transformation and program effectiveness. 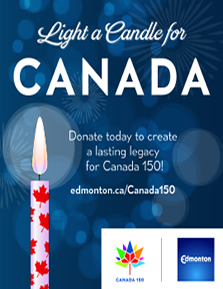 For more information, please call 780.667.7398 or visit her site. WAYFINDERS BUSINESS COOPERATIVE | Navigating the 21st Century Together | Our vision is to provide access to a variety of services to help you manage your business and/or your organization. Membership will enable you to use co-op resources to optimize the value you offer while earning appropriate returns. 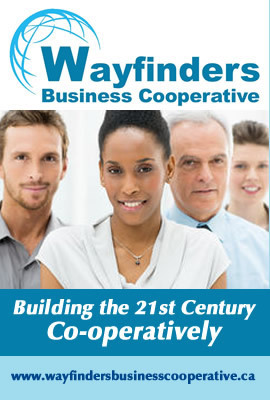 As a co-operative, Wayfinders does not exist to maximize shareholder profits but to provide the best available range of services to members at a reasonable cost. 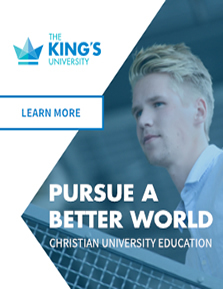 To join and learn further details, please visit our website. 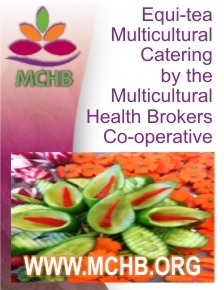 EQUI-TEA MULTICULTURAL CATERING | We’re a social enterprise operated by the Multicultural Health Brokers Co-operative. Check our menu & let us be part of your event. Visit our website (or) give us a call at: 780.991.2799 for good food details! SERVICE & COMMUNITY | We thank you for your support and welcome your feedback; if we can be of assistance get in touch.We invite you to subscribe to our Infomail Newsletter– and, if you appreciate this site, consider supporting it via advertising, affinity sponsorship and/or a donation. Blessings! Video Resources for those working/volunteering in social development, ecology and the Humanities. Contact TCNG to have your ad placed here.